Catalog Home > Animal Fun for Everyone! 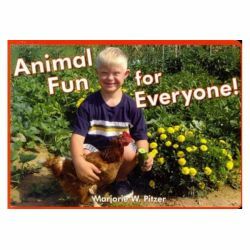 This photo-filled board book shows young kids with Down syndrome enjoying themselves with a veritable menagerie of animal friends -- goats, dogs, cats, horses, fish, ducks, and more. Readers will smile as they see children hugging, petting, tickling, riding, and feeding these furry, feathery, and scaly creatures. 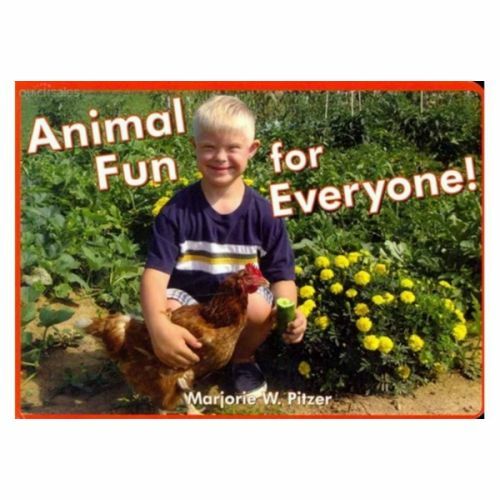 In her latest book, author Marjorie Pitzer mixes fun with ample opportunity to learn and practice action and noun words (Talking to a parrot. Giggling at a guinea pig.). Youngsters will be entertained by the sheer variety of animals (there's even a ferret!) and the obvious delight and wonder they inspire. Ages 2-4. Paperback.